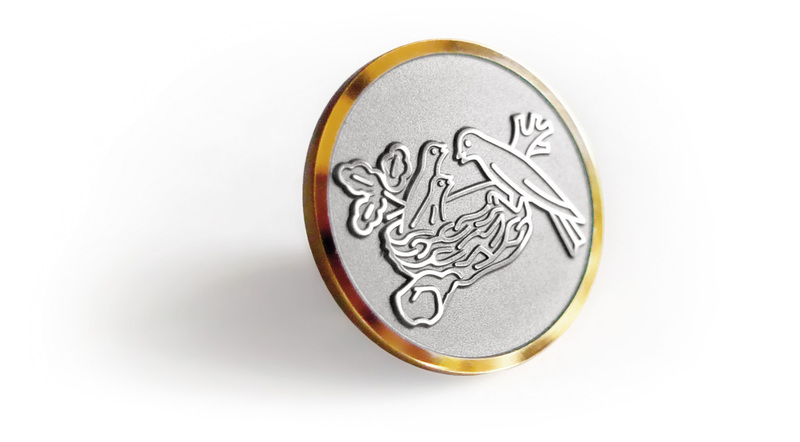 The Nestlé ten years of service award is a gold pin embossed with the company logo. The minting technique allows a very precise reproduction of the finest details of the design, even at such a small scale. The project included the conception and the follow up of the production steps. materials: white gold embossed and bead blasted. The relief of the design is polished and the edge is plated with yellow gold.